Dallas/Fort Worth International Airport Terminal D – Fish Construction, Inc.
FCI has an outstanding history of service with DFW Airport providing several generations of check-in and gate counter millwork as the airport continues to expand and modernize. For the International Terminal D, FCI manufactured all check-in and gate millwork including 62 ticket counters and scale wells, 58 gate counters with back walls, 36 INS booths and inspection counters, information centers, FIDS, curbside counters, self-service kiosks and baggage service counters, and much more. 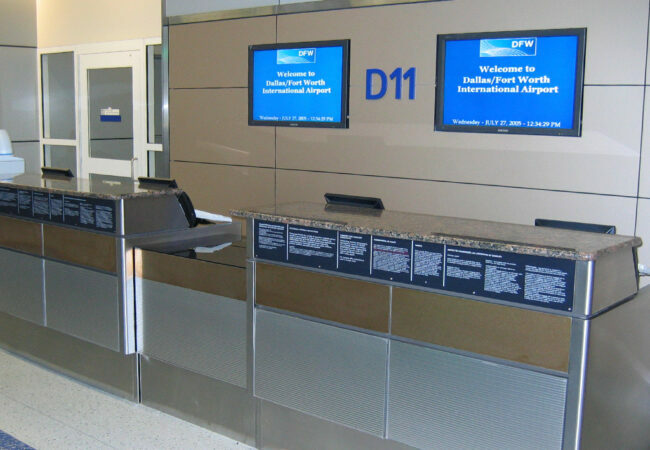 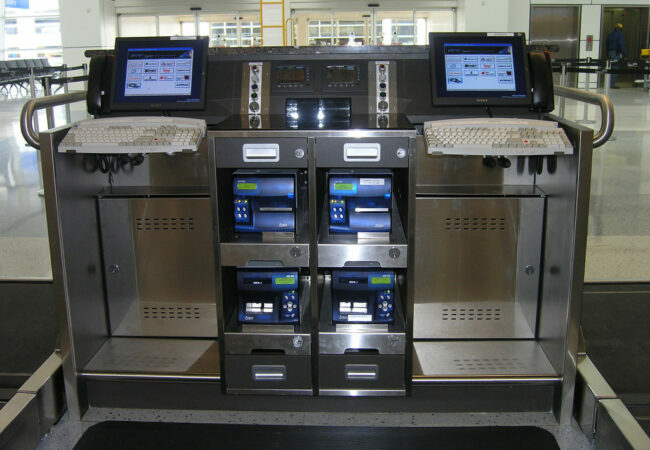 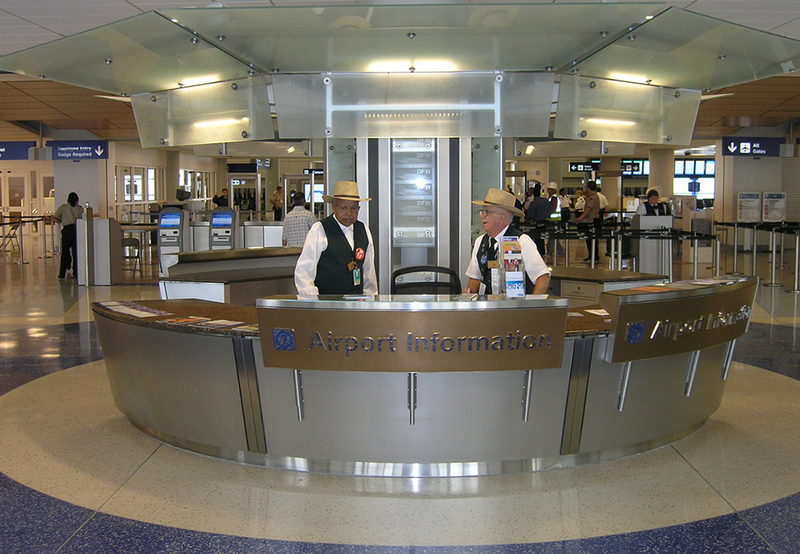 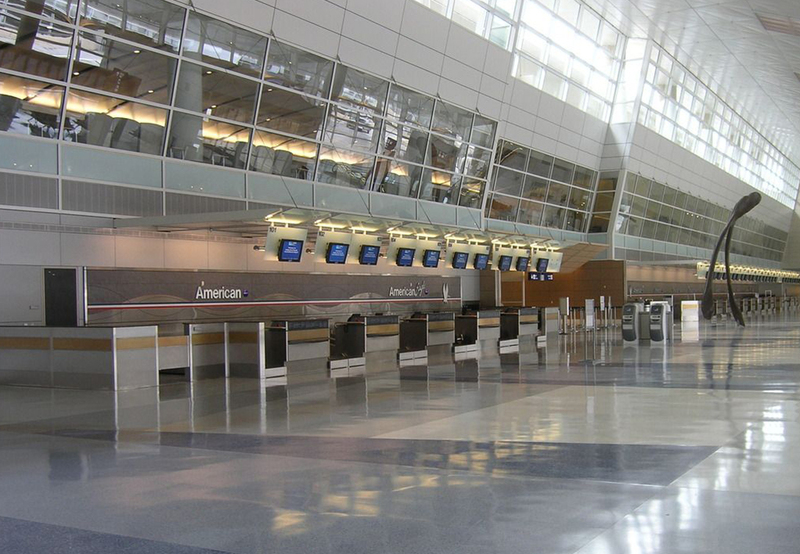 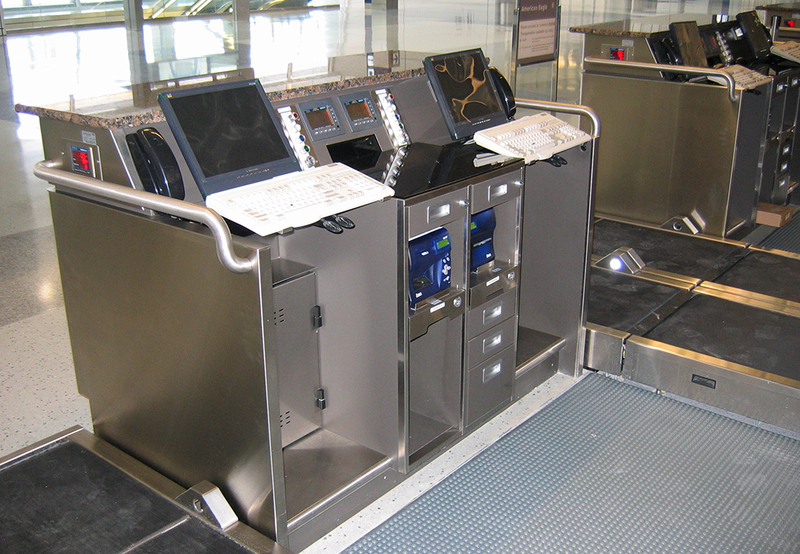 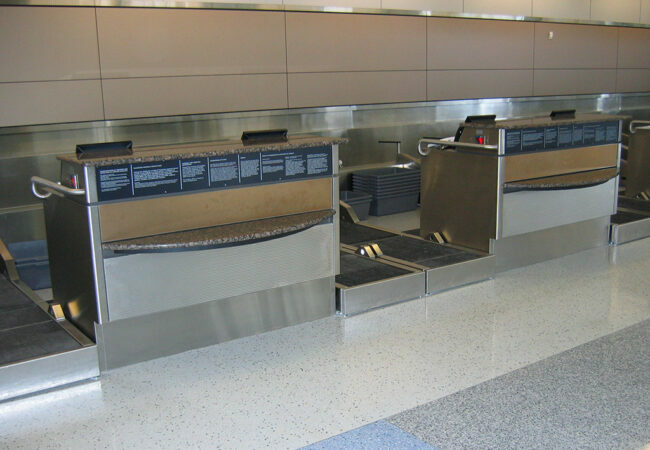 Check-in and gate millwork was integrated with state-of-the-art IT technology and systems, giving DFW the flexibility to use counters for any airline as the airport increased routes and service with international airlines.